I am Sister Susan Gatz, President of the Sisters of Charity of Nazareth. Sister Paula Merrill was a treasured member of our congregation for so many years. 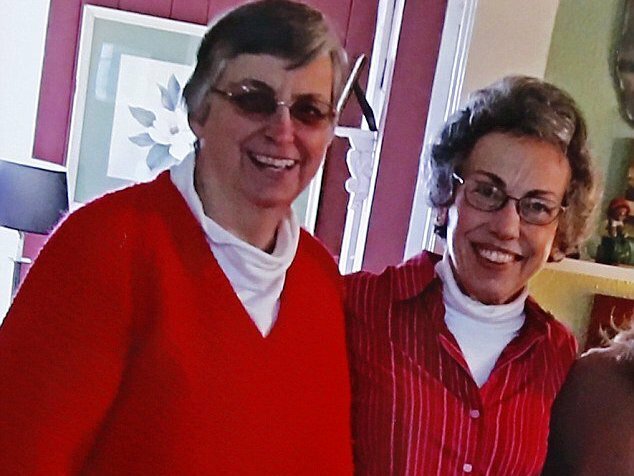 On August 25, 2016 we received a call from the parish priest in Lexington that brought us to our knees….Sisters Paula Merrill and Margaret Held had been found stabbed to death in their home. Each one of us continues to grapple with the fact that these two women, who based their lives on peace, justice, and the love of God died in such a cruel and horrific way. These two women who were two of the most gentle persons you could ever know. Paula and Margaret were so loved, and they are so missed. These two women had lived in and ministered to the people of Mississippi for nearly four decades. Their deaths have left a hole in their families, their Congregations, at the Lexington Medical Clinic, and in the larger community. Both Sisters worked as nurse practitioners at Lexington Medical Center, which served an estimated 8,000 people in the year leading up to their deaths. They saw patients who struggled to pay for medications and needed care for chronic conditions. They brought hope and healthcare to the seventh-poorest county in America. They saw the face of God in every face they encountered. It was hard to believe at the time, and still is, that these two women, Sisters and best friends, who spent decades helping the needy in one of the poorest counties in Mississippi, experienced such violence and suffering. To this day we continue to ask ourselves about Paula and Margaret’s last hours and minutes. How and especially why? Were they afraid? Did they defend and/or comfort one another? Did they beg for mercy? Our mission statement as Sisters of Charity calls us to risk our lives and resources as we work for justice in solidarity with oppressed people. Sisters Paula and Margaret did exactly that. And in that spirit the families and congregations of Sisters Margaret and Paul have struggled to carry out the wishes of these two amazing women. Indeed, in spite of our own anger and hurt, we have turned to Paula and Margaret’s lives as guides as to how we approach this moment. After this terrible tragedy it was a sad but comforting experience to return Sister Margaret to her Congregation’s Motherhouse and bring Sister Paula back to Kentucky, her home at Nazareth, and bury both among their Sisters who love them. Sister Adeline gave a moving reflection at the funeral at Nazareth about Paula and Margaret’s life and death. Many passages have stayed with me. This one in particular I want you to hear, Mr. Sanders. “As strange as it may sound to those who did not know Paula, if Paula could meet the person who killed her, she would not focus on what the person had done to her. Her heart would be broken at what had happened to her friend Margaret, and she may even have to work at getting over her anger at the fact that her patients had lost their one life-line to a better quality of life. But as she worked through her pain and anger at the harm done to others, I believe she would look upon the one who caused all the harm and see in that face the suffering Christ as well. I can almost hear her say with compassion, ‘What have you experienced in your life that could allow you to do what you have done to me, to my friend, and to this community? Who or what hurt you that much?’ And she would likely say, ‘How can I help you let go of some of that pain so that you can once again know yourself to be made in the image and likeness of God.’ And she would offer Christ’s forgiveness. Not forgiveness without justice….but compassionate forgiveness. We have longed for justice with regard to our two beloved sisters. And so, we support this plea agreement for life in prison without parole. It is justice that recognizes all life is valuable. It is justice that holds out hope, always, that love can break through the hardest barriers. Mr. Sanders, we will never forget what you did to them and the suffering that has caused so many. But, because we believe in Christ and his gospel, we forgive you. We have learned over these couple of years that your life has had much turmoil and pain. We want you to know that we will pray that you can find peace. I don’t know if you even knew Paula and Margaret. I can’t believe you did because you would not have taken them from us. I ask you to read about them, and see them in videos in which they speak firsthand…and to pray to them on your journey for forgiveness. Not a day will go by that we will not grieve for our friends and Sisters, Paula and Margaret. I don’t think we will ever be able to understand their cruel deaths, their suffering. They continue to stand forever as examples of goodness, examples of Christ-like love, inspirations for each of us….and nothing and no one can ever take that away. I recall hearing the news of Sisters Paula and Margaret being murdered. Then I learned that one of the nuns was a member of SCN. It really upset me to think that these women worked so hard to GIVE so much to the poor people of Mississippi. If Mr. Sanders could have known of the love, caring and peace of the SCN community perhaps he could have experienced a conversion and would not have committed this horrific crime. On this feast day of the Assumption I offer my prayers to your SCN family as well as the families of Sr. Paula and Sr. Margaret. Thank you for this entire article. Thanks to you, Susan, and Adeline, for the strength and beauty of your words. Thanks to the SCN family for all that you have borne and stood for since the deaths of Paula and Margaret. May Mr. Sanders, and all of us who hear/read your words, grow in our capacity to be instruments of peace. When I read your statement I became a little emotional. Your words were thought provoking and from the heart. I was and am so proud of you and delighted that my sister is a member of the congregation. May we all continue to pray for healing and justice for the perpetrator. Susan you sent out a great message to the world, of forgiveness, peace and love. Thank you for speaking on behalf of us. Susan, thank you just doesn’t sound enough!! Your statement on behalf of all of us was/is profound and also brought tears to my eyes!! I am so proud to call you my sister, too, and have great respect and admiration for the ways in which you have led us, as our “President” through bad times and goo these past years! I feel there should be a better work for you as our Leader…:-) You have lived our charism and spoken it exquisitely well especially through this terrible experience of these two beautiful women of God!! THANK YOU!THANK YOU! THANK YOU!! I have always been proud to call Susan my sister, but never more proud than today. Susan, you have led our beloved community through much, but nothing more heart-wrenching than the loss of Paula and Margaret. I know that every Sister of Charity of Nazareth forgives Mr. Sanders, prays for him and earnestly hopes he will be with us in heaven. Thank you. Susan for your courage and Christ-like thoughts. Truly God will come to this murderer’ row as did Robert Anne many years ago. Susan, your statement on behalf of all of us brought more tears to my eyes. Thank you for the beautiful way you spoke the truth of Paula’s and Margaret’s goodness and passion for the poorest of the poor, and for telling of our pain and loss, and yet, not condemning the person who put an end to Paula’s and Margaret’s lives, but forgiving him and encouraging him to believe he can grow. Thank you, Susan.